Chris Watts and his attorneys have reached a plea deal in the highly-watched murder case out of Frederick, Colorado. Watts is accused of killing his wife, Shanann, and his two young daughters, Bella and Celeste. Watts could face three consecutive life sentences. 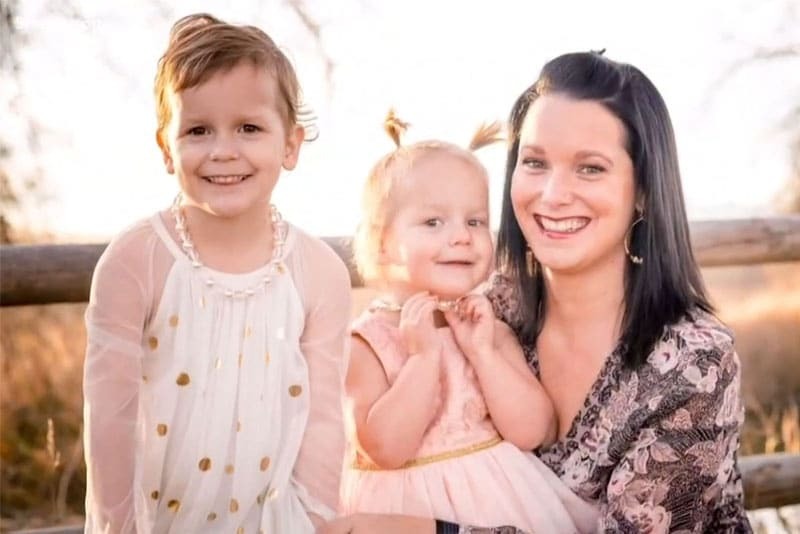 The request to not seek the death penalty came from Shanann Watts’ family. He will be formally sentenced on November 19th. Why did Chris Watts murder his family? A Denver criminologist has claimed that the father accused of murdering his pregnant wife and their two children did so because he wanted to start a new life with his lover. After the murders police discovered that Watts ‘was actively involved in an affair with a co-worker,’ something he had initially denied. Denise Mowder, an associate professor of criminology and criminal justice at MSU Denver, says she believes that Watts may have wanted to rid himself of his family to be with her. Mowder also said that most cases of men killing their children were triggered by rage but 30 percent were sparked by spousal revenge, and another ten percent say they don’t know why they did it. She said that the fact he tried to point his finger at his wife, was typical of domestic abusers. My personal thoughts on Chris Watts. Mowder has labeled Watts a domestic abuser. But, was he? All evidence points to Shanann viewing him as a loving husband and father. I’ve not been able to find any references from family or friends that indicate there was a history of abuse in Chris and Shanann’s marriage. Last week I watched an episode of Dateline. A husband who had been married for 40 years killed his wife out of a desire to be with the woman he was having an affair with. There was no evidence of past domestic abuse. Their children and friends had never known him to be anything but a loving husband and father. Out of the blue, just like with Watts, these apparently loving husbands chooses to murder their way out of their marriages instead of choosing divorce. I doubt divorce occurred to Chris Watts either. Why? Why do some men murder instead of divorce? My opinion…men find it difficult to face the financial losses that come with divorce, spousal or child support and sharing assets. They don’t realize the wheels they set in motion when a man kills his wife. They are shortsighted and fail to understand that spousal support, child support and sharing assets is a hell of a lot easier than life in prison. Bottom line, men kill their wives because they think they are going to get away with it. And, some men are sociopaths and narcissists. Personality disorders it can be dangerous to be married to! A cautionary tale for all wives. According to an article in The Atlantic, the CDC analyzed the murders of women in 18 states from 2003 to 2014, finding a total of 10,018 deaths. Of those, 55 percent were intimate partner violence-related, meaning they occurred at the hands of a former or current partner or the partner’s family or friends. In 93 percent of those cases, the culprit was a current or former romantic partner. Strangers perpetrated just 16 percent of all female homicides, fewer than acquaintances and just slightly more than parents. “Lethality increases the moment a woman says she’s leaving,” said Tiffany Turner-Allen, program director at UJIMA, the National Center on Violence in the Black Community. What these statistics tell us is that women are more likely to be murdered by a husband or boyfriend they trust or one they are attempting to leave or divorce. And, the vast majority of these women, just like Shanann Watts would never entertain the idea that their lives were/are in danger. If you suspect your husband of having an affair or, if you are separated or in the process of divorce, it’s in your best interest to make sure you protect yourself. Regardless of whether there is a history of domestic abuse or not, some men don’t respond well to emotional upheaval and, like Chris Watts can do the last thing you’d expect them to do.